This party was soooooo fun!!!!! 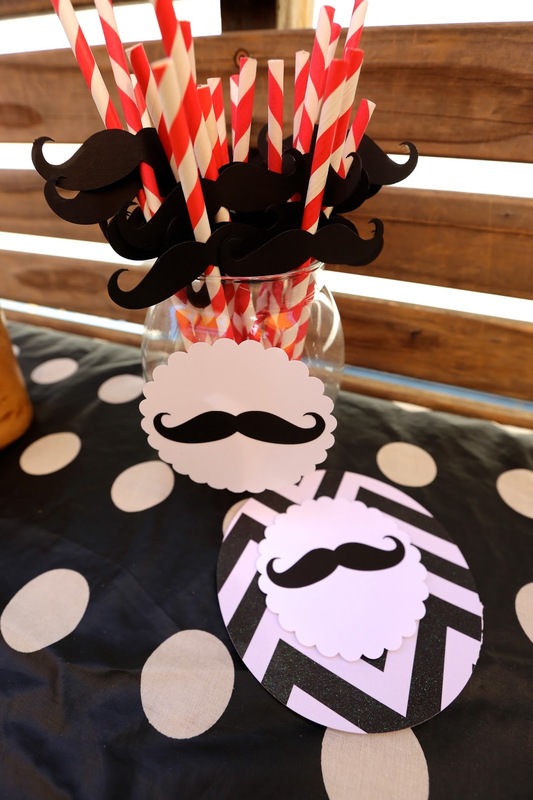 EVERYONE -- adults and kids alike ADORED the fun and frivolity of sticky mustaches, fedoras, boas and photo booth props! It was just a blast. 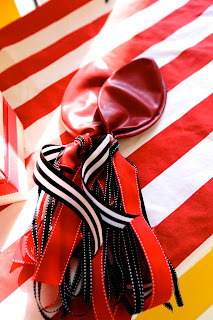 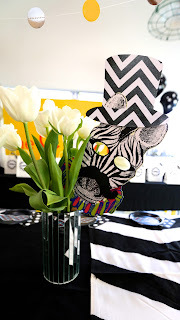 I hand painted the chevron stripe runners which turned out great for this graphic bold party look. 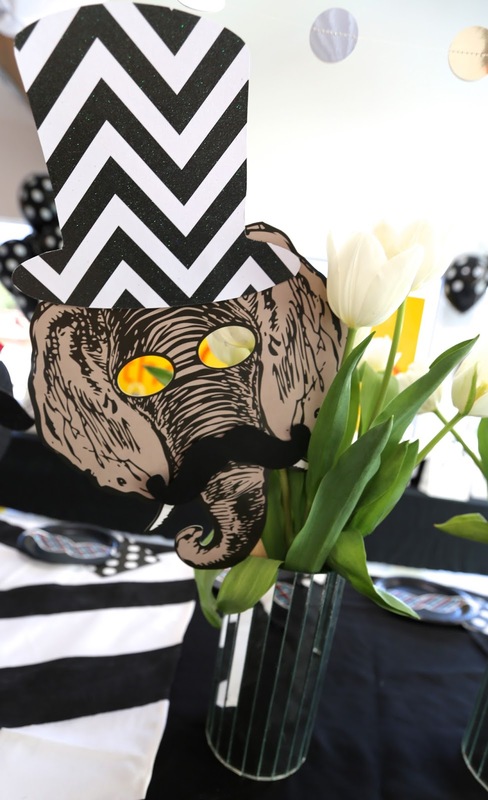 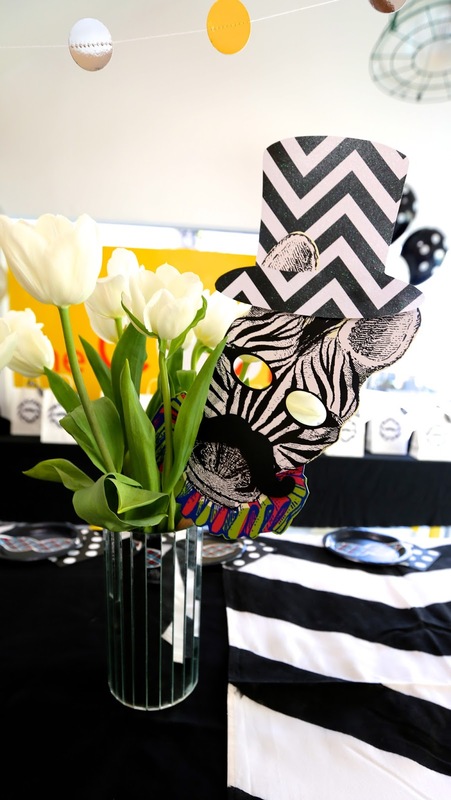 I also made the centerpieces out of Elephant and Zebra masks from Michael's that I jazzed up with mustaches and hand made chevron hats to match the theme (I love how the zebra's ear is peeking out of his cockeyed hat!!) 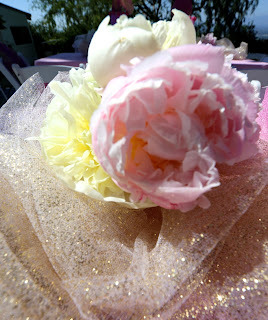 It was such a fun afternoon with such a fun group of people -- hope you enjoy the pics!!! 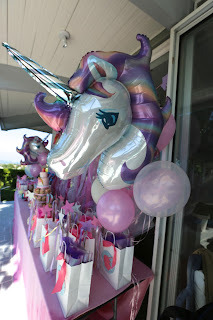 UNICORN PARTY -- COOP Party at Home! 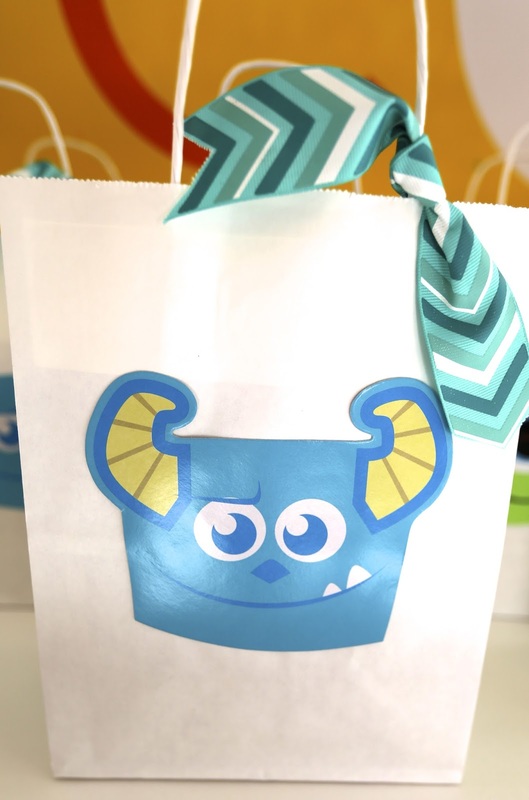 Another one of our COOP customers was taking 20 of her little guy's closest friends to see MONSTERS U for his birthday this weekend... and she wanted us to provide goodie bags to hand out at the end of the movie. 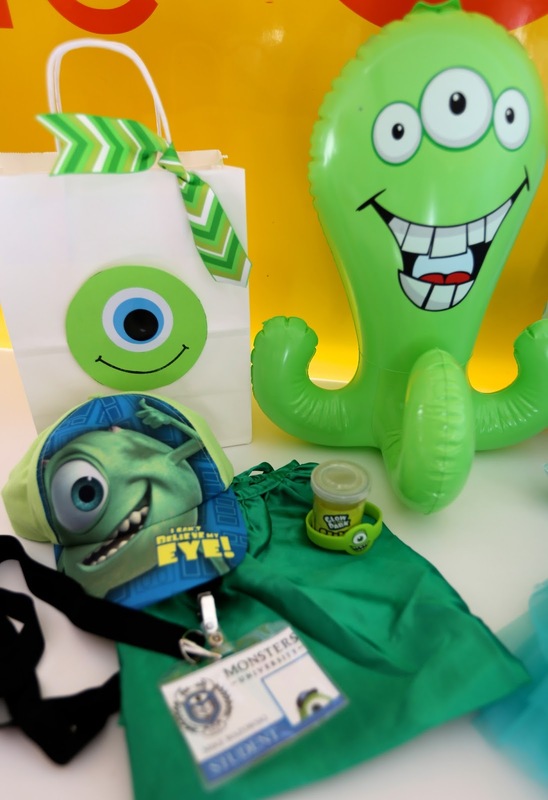 So a MONSTERS U COOP CRATE was made!! 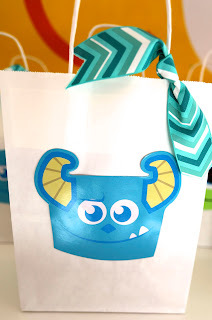 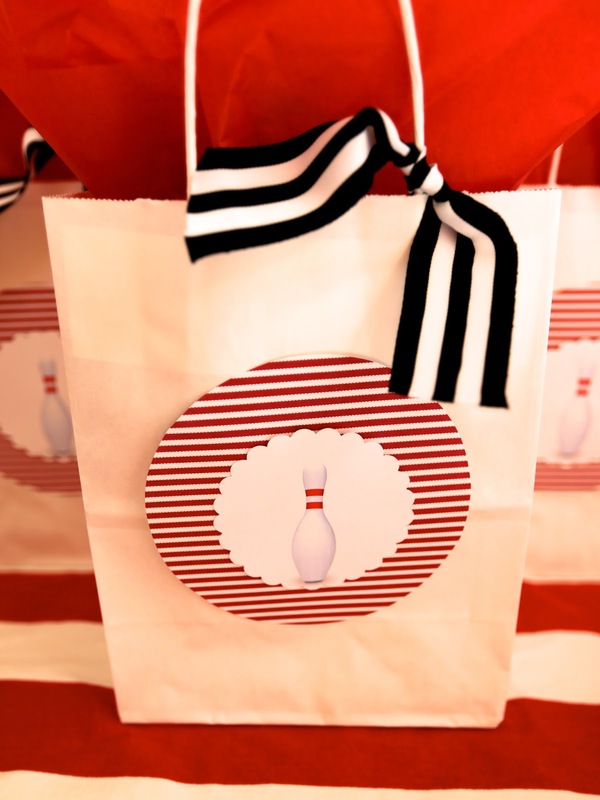 -- just goodie bags for this one. 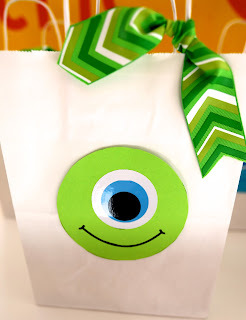 LOVE the Mike eyeball on the boy bags! Boys goodies were Mike themed... they all got a MONSTERS U Mike hat, bracelet, green cape, inflatable monster, gooey monster slime and a hand made Monsters University ID badge. The girls bags were Sully themed... they all got turquoise tutus with purple boas (like Sully's spots), a Sully paper cone hat, and the same inflatable monsters, and slime as the boys. 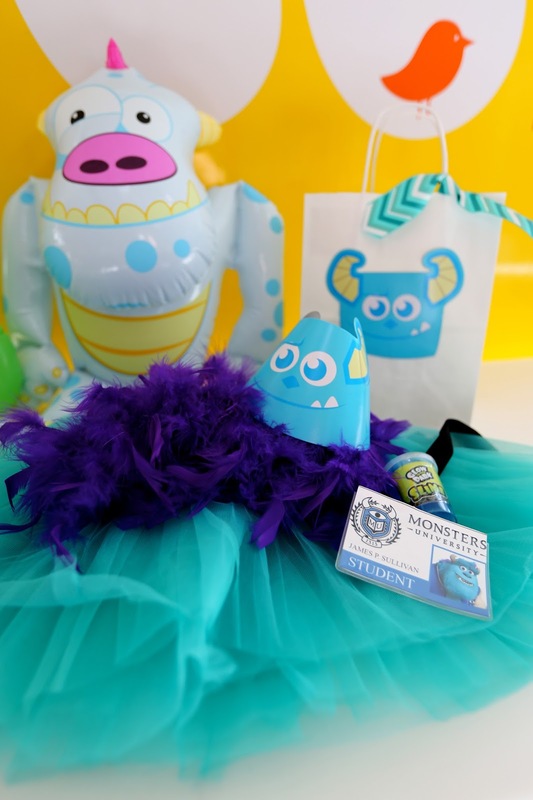 Girls got Sully Monsters U ID badges on lanyards. So so cute. 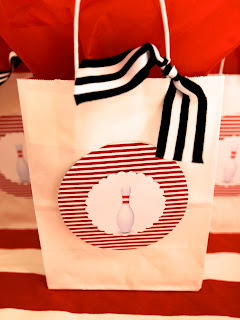 Love how bold and graphic the bags looked! 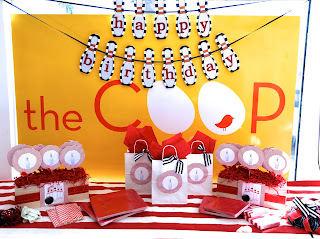 Tres COOP-e!!! 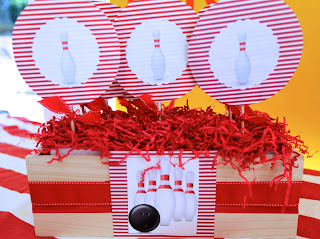 We just did this COOP CRATE for a local COOP mom who was doing a party at our local Bowling alley. 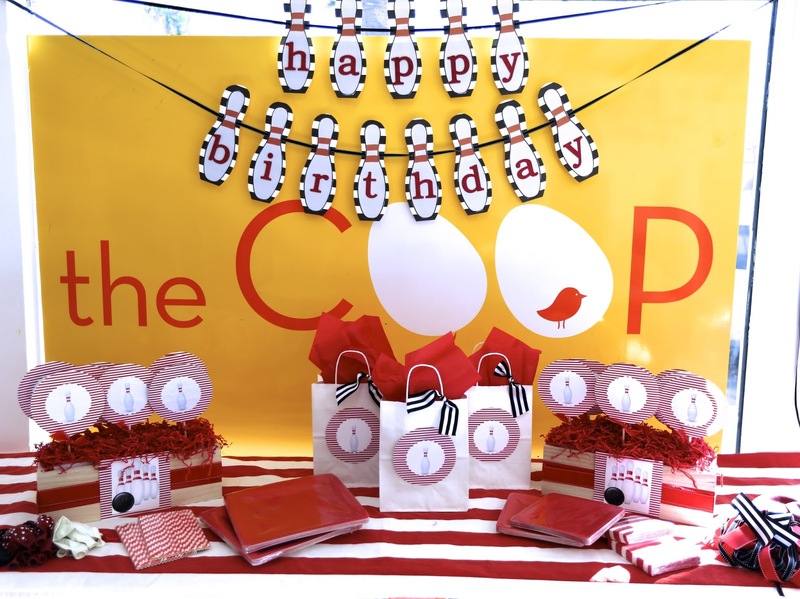 She wanted to bring a little CHIC COOP STYLE to the joint -- so she asked us to do a Custom COOP Crate for her. 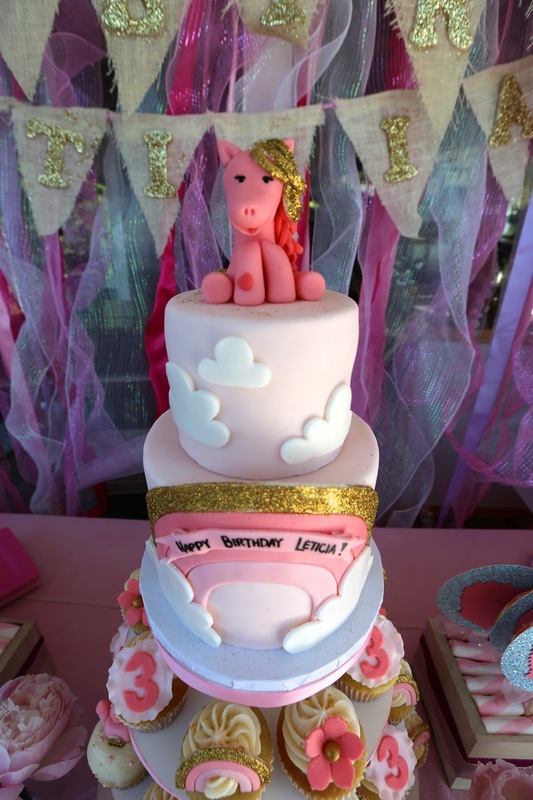 We love how it turned out! We are especially proud of thecustom banner we hand made! 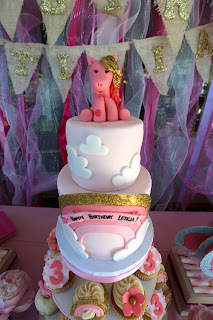 It turned out so so cute!